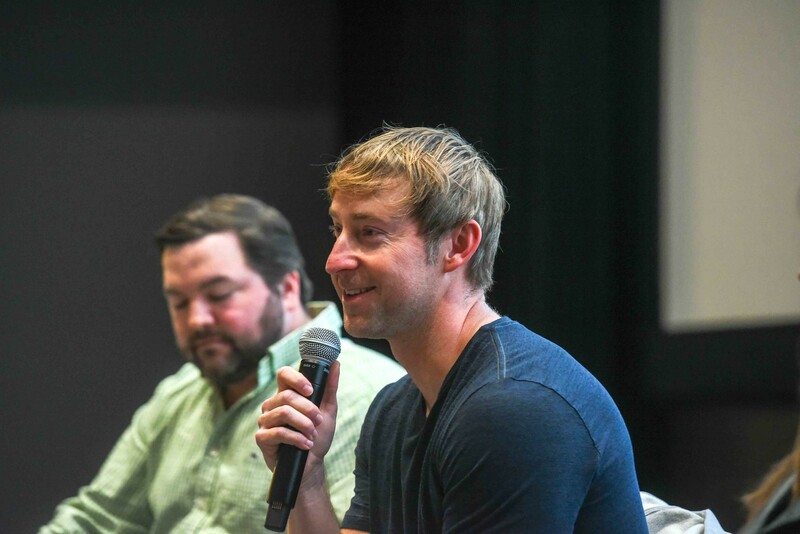 Ashley Gorley, Blaine Rhodes and Kelly Bolton speak to Curb College students in Nashville, Tennessee, November 2, 2018. In addition, the ASCAP Golden Note Award, which is presented to artists who have achieved extraordinary career milestones, was given to alumna LeeAnn Womack. Previous winners have included Don Williams, Lindsey Buckingham, Alan Jackson, Lionel Richie, Reba McEntire and J.D. Souther, among others. A number of artists performed musical tributes to Womack at the event, including Buddy Miller, Chris Stapleton and Alison Krauss. Other Belmont alumni honored during the ceremony for their songwriting accolades were Hillary Lindsey, Jon Nite and Frank Rogers. Finally, Warner/Chappell was named the ASCAP Country Music Publisher of the Year, and the Nashville office is helmed by alum Ben Vaughn.